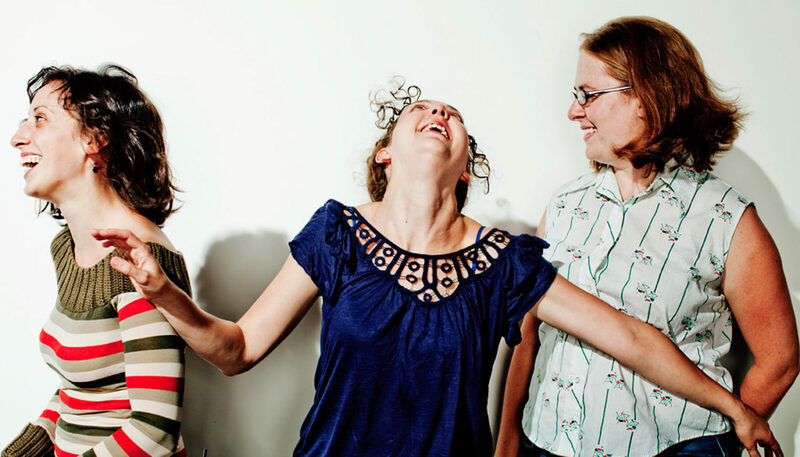 Mad King Thomas is the choreographic collaboration of Tara King, Theresa Madaus and Monica Thomas, founded in 2004, during their final year at Macalester College. They initially collaborated as a care-free creative outlet, but their shared interests in gender, cultural reference, humor, post-modernism, movement and hegemony led to the creation of their first dance and a long-time creative bond. Since then, Mad King Thomas has created small and large work for stages throughout Minneapolis, as well as Melbourne, Australia, Yaroslavl, Russia, New York City, San Francisco, and Miami. Mad King Thomas won a 2008 SAGE Award for Outstanding Performance for Premium White Morsels. Their show Love Me, Love My Questionable Art was named the 2009 City Pages Best Dance Show, and they were included on the 2010 Metro 100 List. Despite their studio dance backgrounds and degrees in non-dance fields, the trio has found itself in love with contemporary dance and theater performance. They enjoy an expanded definition of dance and believe in a “cut-and-paste, borrow-what’s-best, use-the-tools-at-hand” approach to choreography. Known for their sense of humor and delight in irreverence, they make dances that people often don’t think of as “dance”. They investigate power and gender and are invested in the possibilities of live performance opening up discussion, igniting revolution and subverting the status quo, as well as expanding what the definitions of dance, performance, or art might be.